2100 SQ. 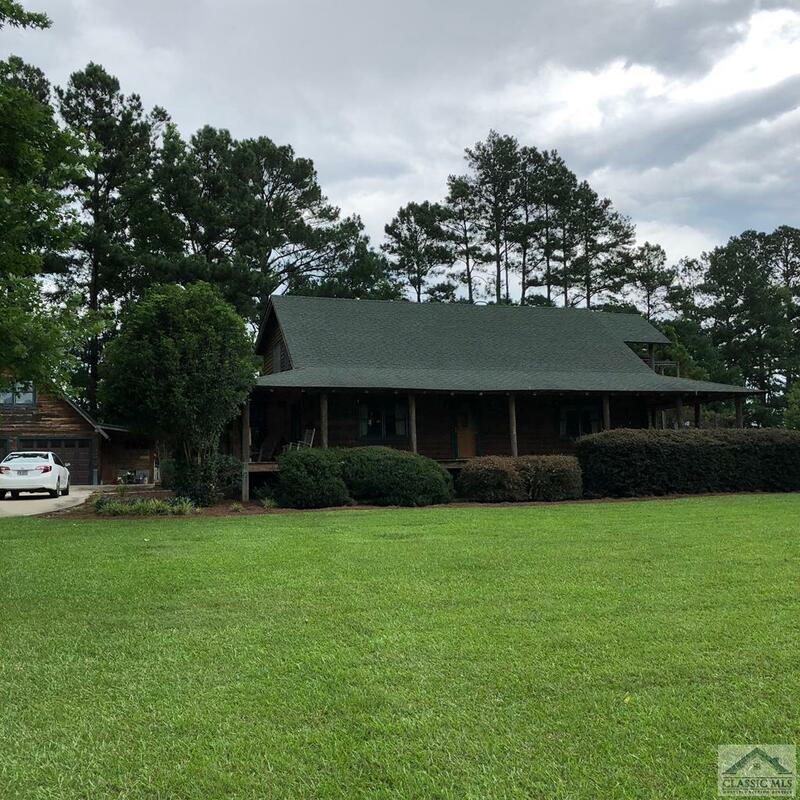 FT 3bed, 2.5 bath Log home on 13 acres in Oglethorpe County. Features mini lake that is 75 yards wide and 300 yards long, fully stocked. This home welcomes you with a 1600 square foot walk around porch. Be impressed as you enter the home, beautiful Island style kitchen, gorgeous black granite counter tops. Stunning 200-year-old 8-inch pinewood flooring that came from the old cotton mill. The family room is spacious and has a wood burning stove that uses gas logs for secondary heating. The master suite includes a walk-in closet fully lined in cedar and a built in fireproof safe. The loft provides additional space for sleeping, playroom, office and has lots of storage area. The two car detached garage features bonus room above that can be used for storage or could be finished and used as guest suite. This property boasts of Fruit trees including blueberries, blackberries, loganberries, peaches, pear, apple and fig trees. Beautifully landscape! This property is a rare find and a nature lover's retreat! 139 Salem Church Road, Lexington GA 30648 is a Home, with 3 bedrooms which is recently sold, it has 2,100 sqft, 10+ - 25 sized lot, and Garage,Detached,3+ Parking parking. A comparable Home, has 6 bedrooms and 3 baths, it was built in and is located at 403 South Main Street Lexington GA 30648 and for sale by its owner at $ 499,000. This home is located in the city of Lexington , in zip code 30648, this Oglethorpe County Home, it is in the No Recorded Subdivision Subdivision, and REYNOLDS LAKE OCONEE are nearby neighborhoods.